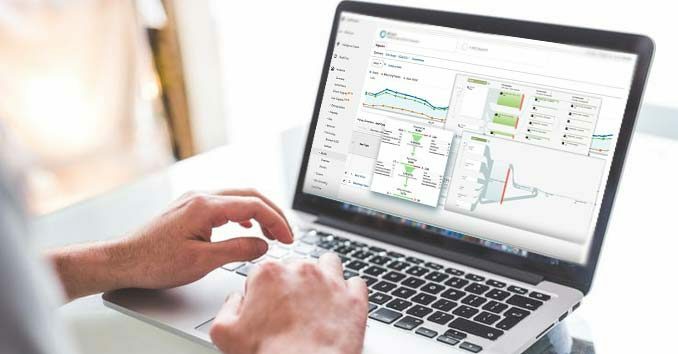 While most people think GTM and Google Analytics are the same product, they are actually very two very different tools that when used together can supercharge your credit union website and turn it into an analytics/data-driven marketing and lead generation powerhouse. Here are some of the top reasons for implementing Google Analytics on a Bank or Credit Union website. 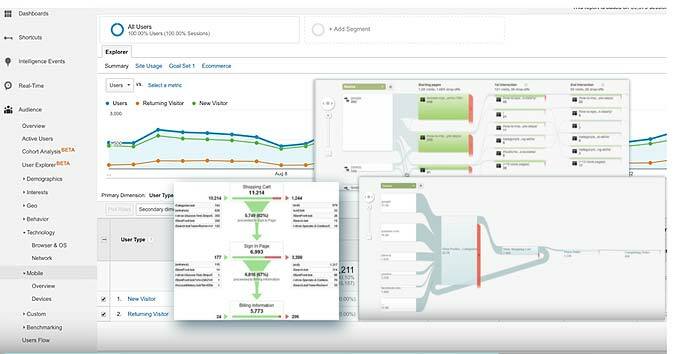 *Spoiler Alert: The ability to track cross-domain traffic and conversions in third-party account opening and loan applications like MeridianLink’s LoansPQ in Google Analytics is one of the top reasons to install GTM. Setup Multiple Tags and keep track of them all under one roof. In the past, tracking codes used to have to be hard-coded into your website. That meant every time a marketing department needed to make a change or merely test a new tag it could them take weeks to implement the changes because they were forced to work with developers or IT to make even the smallest changes. GTM speeds up the process and allows you to instantly make changes without having to worry about programing developers or IT. Guard against Fintech companies who are actively trying to take your customers. Unfortunately, many smaller banks and Credit Unions don’t have the infrastructure to compete with today’s Fintech threat. Installing GTM helps even the playing field because you won’t have to rely on web developers or third party vendors to make simple code changes to your website. This is great for bank and credit union marketing departments because it helps speed up launch times and allows them to test changes in real-time without having to rely on their IT department. Event Tracking on just about every action on your website. GTM automatically listens for specific interactions on your website. This gives you valuable insight into how people are using your site, where they are coming from, what is causing your conversions, and what is making people leave without converting. One of our favorite reasons to use GTM is the ability to stop tracking devices and instead track the actual user. GTM makes it easier to track User IDs inside of google analytics and makes it easier to pass this data to third-party applications or CRMs. The ability to track individual users is a game changer for credit union marketing departments and allows them to compete with the big banks and the growing Fintech threat. 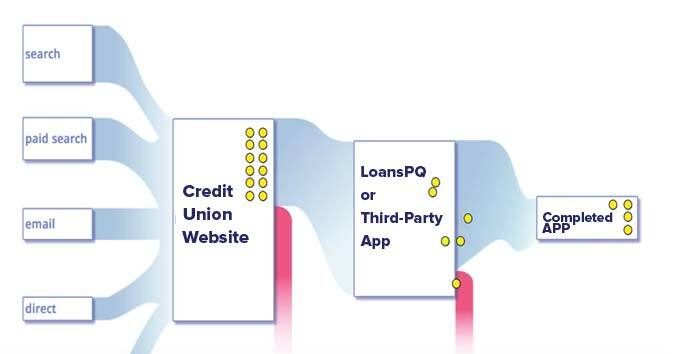 If your using a third party vendor for your lending applications and account openings, setting up tag manager helps create a connection between your website and applications like Meridian Link’s LoansPQ. Find out where users are falling off inside your account opening and loan applications inside apps like LoansPQ. Track your campaigns all the way from origination, through your website, and through the application process. For credit unions, the ability to create conversion path reports from applications like LoansPQ is probably one of the best reasons to look into GTM or have your web development company setup GTM and Google Analytics on your site. 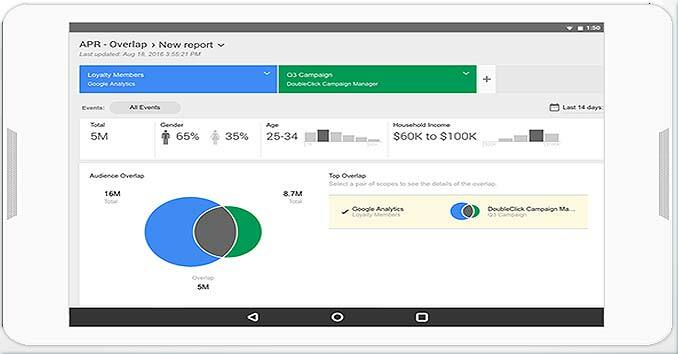 No more guessing what campaigns are converting, now you’ll be able to track a loan application all the way back to the original banner ad, social media links, blog post, offsite marketing piece, and even the search or Adwords keyword used to find your site. 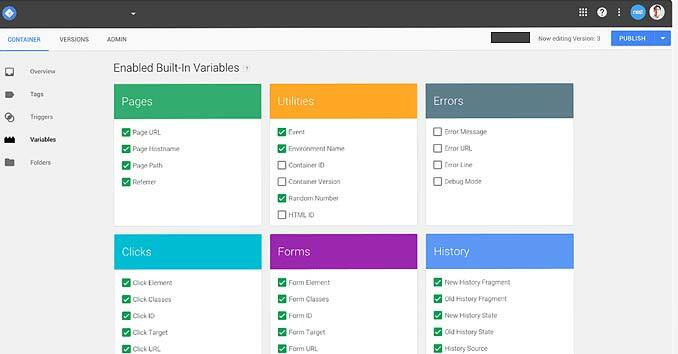 Need help setting up Google Analytics and Google Tag Manager on your Credit Union Website? 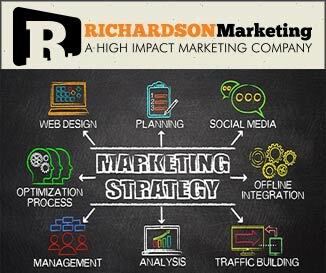 Richardson Marketing has extensive experience setting up Google Analytics, third-party analytics applications like Adobe Omniture, and Google Tag Manager on Bank and Credit Union websites. If you want a no-obligation consultation on what it takes to set up your conversion tracking, give us a call at 702-487-5270 or head on over to our contact page and fill out our contact form.